YELM HOST’S INTERNATIONALLY ACCLAIMED CONCERT TUESDAY EVENING! Due to the overwhelming number of people that packed the Yelm Timberland Library last year for a special performance by German violinist Ian Mardon, he has been invited to return to share his music with the entire community in a unique evening at the Yelm High School Tuesday, April 1st at 7pm to benefit the Yelm Prairie Arts Assn. The artists [Mardon] repertoire ranges from the major works for violin and orchestra, through a broad selection of solo and chamber music, to his own exciting compositions. Mardon has, over the course of the years, performed on many TV shows and in numerous movies. Additionally he has worked for advertising and appeared on a multitude of CDs. Together with pianist Quitterie Larr, he recorded works by Beethoven, Brahms, Franck and Kreisler. His enthusiastic performance style has resulted, through appearances with numerous orchestras in Canada, USA and Germany, in his establishing himself as a renowned soloist. Today, he is continuously performing as a soloist and chamber musician in Germany and North America,” quoting Mr. Mardon’s website. Co-sponsored by Yael & Steve Klein and the Yelm Prairie Arts Assn. Posted by Steve at 6:18 am | Permalink | Comments Off on YELM HOST’S INTERNATIONALLY ACCLAIMED CONCERT TUESDAY EVENING! “South side work continues on Yelm Avenue, as well as work on Killion Road. Click the link for more information. Info line: 360-458-8428 Comments and questions will be accepted at the end of the recording. All calls will be returned at the caller’s request. Please make sure a contact number is provided in the message,” quoting the City of Yelm website. This course addresses the basics of wound assessment, when to suture and when to tape a wound, cleaning and infection control; assessing fractures and how to dress them with a cast; locating Master acupuncture points for pain relief and management. This course is designed for emergency needs when a medical professional may not be available, as in a disaster. It is not intended to replace or assume the responsibility of getting professional medical attention under normal circumstances. March 31, 2008 from 6 – 9 p.m. at the Deschutes Grange. Pre-register for $25 or pay $30 at the door. Registration may be dropped off at Lemuria between now and March 25, 2008 only. This will be a recorded event and all in attendance will be required to sign a video waiver. Howard E. Hagglund, M.D. is the founder of the Hagglund Clinic. With over 30 years as a Medical Practitioner, he is the author of several books, as well as numerous articles. For over 15 years, Dr. Hagglund has hosted a talk radio show offering advice about health care and alternative medicine. Visit Dr. Hagglund’s website at www.doctortalk.com. “The Olympia area has moved up to eighth place nationally on Forbes magazines best places to do business list. South Sound was ranked 10th on last years list. Boy, that speaks well for us, said Mike Edwards, a board member of the Economic Development Council of Thurston County [EDC]. Its certainly an attractant to our area, especially in relation to Seattle and Tacoma. Edwards noted the recent arrivals of a Cabelas outdoor gear store in Lacey and this weeks opening of Great Wolf Lodge in Grand Mound as new job creators. Those developments will boost the countys growing tourism business, he said. The Yelm City Council approved an annual contract renewal of $6,000 with the Thurston EDC last night. “When you donate clothes, furniture and other household goods to Yelm Community Services’ Thrift Shop, you do more than clean out your closets. The nonprofit thrift store at 624 Crystal Springs Road N.W. in Yelm raises money to benefit Yelm Community Services, which provides assistance to low-income families in the Yelm and Rainier area. Types of items you can donate: The thrift store accepts an array of gently used household items, from clothing, linens and shoes, to toys, books, DVDs and videos. ‘We even take records,’ thrift store worker David Robinson said. The shop also accepts a few items that some thrift stores shy away from, including clean mattresses of any size, furniture without stains or rips and small kitchen appliances such as crock pots and toasters. Types of items you can’t donate: Because of safety concerns, the thrift store does not accept used car seats. Also, like many thrift stores, Yelm Community Services doesn’t accept used computer gear, such as monitors, keyboards and computer CPUs. Large appliances: The shop does not accept large appliances, such as washers and dryers. However, workers can put you in touch with families in need of such items. ‘We do have a request list for people who can’t afford them,’ Robinson said. Donation hours: Items can be brought in during store hours, which are 10 a.m. to 4 p.m. Monday through Friday. The agency requests that folks call ahead to make sure there’s room for donations. Robinson said that especially is a concern during the summer when the thrift shop receives a lot of donations left over from people’s garage sales. It usually takes a few days for the thrift shop to make room for more donations, Robinson said. n More information: If you are interested in learning more about the Yelm Community Services’ Thrift Shop, call 360-458-4230. Each Tuesday in Living, learn how to dispose of everything from electronics to hazardous materials. Share ideas for reducing, reusing or recycling with features reporter Lisa Pemberton at 360-704-6871. ‘Done with those pills? Just flush them down the toilet or throw them in the trash, right? Not so fast: If you do, you could damage the environment or put a child at risk. Fortunately, there is a better way to rid yourself of unneeded medicines, thanks to the Medicine Take Back Program, says Rachel Donnette, education and outreach specialist with Thurston County Environmental Health. Keep them in their original containers and mark out any personal information. DOES THE YELM COMMUNITY WANT A LIBRARY WHEN THE LEASE EXPIRES IN 4 YEARS? The Yelm Timberland Library Board gave the annual library report to the Mayor and City Council last night. This writer is the Library Board’s Chair and read the statement that was approved by the entire Board, except for one Board member. This report is supported by the Timberland Regional Library (TRL). The letter presented to Yelm’s officials is printed below in its entirety and presents the facts that the city needs to decide if there will be a commitment to continuing a library here. DO YOU WANT A LIBRARY IN YELM? While Mayor Harding acknowledged that city officials have met with TRL officials, he said that the city does not know what support for a library here will be in the future. TRL Manager of Administrative Services Michael Crose was in the audience and addressed the Mayor and Council saying that the Yelm Library Board’s public statement accurately reflects the views of TRL and added that in order to effect a new library in Yelm, we must all work together, since timing is critical with the economy softening somewhat. Yelm Council member John Thompson expressed his appreciation to the Library Board Chair for the consideration given to Prairie Park’s future (they are the current Library landlord, for which he is General Manager). Yelm council member Mike McGowan stated he is a TRL employee in Yelm and values his work there. He said this library is vital to the youth in this town, since they use the facility more than adults, as evidenced by their checkout rate of materials compared to adults. Yelm Timberland Library Board member Ronni Nutter asked to have her name removed from the Board Letter saying she saw the letter for the first time yesterday morning and had concerns. Mrs. Nutter thought the Board’s roll was not to tell the city and council what to do about the Library. While John Thompson raised this issue at a Fall 2007 Council Meeting and there was a discussion in one of your Study Sessions and recent Retreat, we are here tonight to bring this issue into the public forum. Further, Mr. McGowan is an employee of TRL, so two members of this Council have a vested interest in this discussion. The Timberland Regional Library gave the city an exemption for 10 years in 2002 to operate in the Prairie Park (PP) complex and building owned by Margaret Clapp, whose corporate manager is John Thompson. Obviously, PP wants to know the city’s intention to continue the building lease for a library beyond 2012, as they want to look for a new tenant(s) if the library is not going to continue there. Further, they have notified their intent to substantially raise the payment of the monthly lease, in which they gave the city quite a favorable rate in 2002. As you know, the state recently notified the city regarding the city’s practice of collecting tax money for use of a public facility being housed in a private building as being improper [Yelm History Museum housed in Clapp’s PP complex], so continuing a lease in PP may not be an option considering the state’s notification, along with the likelihood of a substantial rate increase in the existing lease. 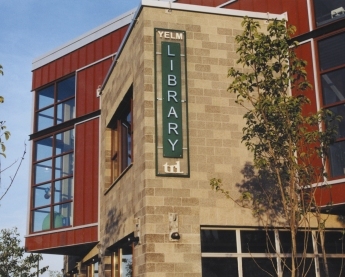 Additionally, TRL would be hard pressed to grant Yelm another exemption to operate a library in a private facility, as the other 18 jurisdictions in the TRL five-county region are all required to be in public facilities. Some of these cities have expressed their concerns about the favoritism granted Yelm on this issue. The only other anomaly in Timberland is Montesano. The W.H. Abel Library in Montesano was a gift to the former Grays Harbor County Library. The title to the building was permanently transferred to TRL when the District was established. With 4 years before a planned move needs to be in the final stages, the City of Yelm has no land and/or structure put forth in which to house a Library. Given the short lead-time to acquire land, plan, construct and move, TRL and your Yelm Library Board are letting you know we believe Yelm’s Library facility beyond 2012 should be recognized as a priority issue by the City Council and the residents of the Yelm area. interior design costs and TRL professional support for developing the new library (i.e. physical plan), they can only do so if and when the City has committed to funding the purchase of land for a public Library facility and set aside resources for its share of professional architectural services. Bottom line: Your Yelm Library Board and TRL officials are standing before you tonight to raise the red flag about the future of the Yelm Timberland Library. We wish to work in partnership with the City to assure that this future includes this valuable community resource. A monumental project such as this requires the combined efforts of city officials, the resources of TRL and the citizens of the greater Yelm community. The Yelm Library Board and TRL are ready to start the process needed to create a permanent Library facility as soon as the city’s commitment has been demonstrated. Blogger Klein is the Yelm Library Citizen Advisory Board Chair. IS COMMERCIAL AIR SERVICE IN THURSTON COUNTY’S FUTURE? “Port commissioners gave tentative approval Monday [Feb. 4] to consider commercial air service at Olympia Regional Airport for the first time since 2004. They invited a Eugene, Ore.-based consultant to present the recruitment plan for daily service between Olympia and Portland at the next commission meeting, which is Monday [Feb. 11]. Air service between Olympia and Spokane stopped in September 2004 when Montana-based Big Sky Airlines ended service to Olympia. Rudolph identified potential carriers as Cape Air, which serves New England, Florida and the Caribbean, and Washington state-based Kenmore Air, which serves the Seattle area, the San Juan islands, Whidbey Island and Victoria, British Columbia,” quoting The Olympian. Ed. Note: This writer appreciated & enjoyed the air service provided by Big Sky from Olympia to Spokane. They had an interline ticketing/baggage/frequent flier mileage agreement with partner Northwest Airlines and provided convenient connections from Olympia through Spokane to Northwest’s Minneapolis hub and beyond. Any airline wishing to succeed must provide easy/seamless connecting service to a major carrier in Portland like Northwest or Alaska Airlines. The Olympian updated this story after the Port of Olympia meeting on February 11. Posted by Steve at 6:31 am | Permalink | Comments Off on IS COMMERCIAL AIR SERVICE IN THURSTON COUNTY’S FUTURE? “Welcome to Animal Services’ website! The Seattle Humane Society lists other agencies all over Puget Sound. Shelters across the country have seen sharp upticks in the number of people giving up their pets in recent months because they have been forced out of their home, quoting My Wire. REMEMBER OUR LOCAL ANIMAL SERVICES FIRST WHEN THINKING ABOUT GETTING A PET! Mr. Edmondson has “over 25 years experience encompassing Executive Management, Project Management, Strategic Planning, Finance, Securities, Budget Analysis, Business Development and International Marketing demonstrating proficiency in Leadership, Negotiation, Persuasion, Innovative Problem Solving, Evaluation, and Perception,” quoting his website. “Am I qualified? You decide. I have more than 8 years in finance, over 10 years in purchasing, and 10 plus years experience in City government. Additionally, I have a strong background in IT and communications. Click here for her Vision for Thurston County. Mr. Halvorson’s bio includes being appointed by four successive Lacey Mayors as a citizen representative, served on the Lacey City Council and in May, 1993, became the 10th Mayor of Lacey and held the office through January, 1996. Mrs. Romero has been a resident of Thurston County for 24 years and for 12 years, represented her constituents in Lacey, Olympia, Tumwater and much of Thurston County in our State’s House of Representatives. She worked to build consensus on issues as diverse as civil service reform, animal cruelty laws and landuse issues. Her vision as County Commissioner from her website says, “I believe that we can develop both sensibly and sensitively. But we need to start now by cherishing our land, our trees and our water, not squandering them. This writer saw this film and thinks everyone should see it. This is a landmark award-winning documentary that provides knowledge about this precious resource on a grand scale! Mayor Harding has commemorated this day with information on the city’s electronic reader board outside City Hall. Posted by Steve at 6:14 am | Permalink | Comments Off on TODAY IS WORLD WATER DAY!